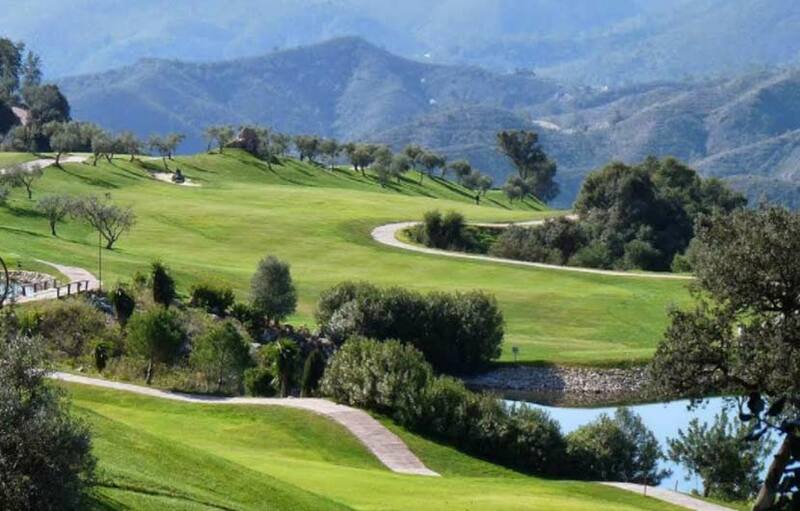 The Alhaurin Golf Resort is nestled on the south west side of the Mijas mountains and is arguably one of the most visibly spectacular golf courses on the Costa del Sol with fantastic views from all over the course looking down to the sea, mountains and wild surrounding countryside. 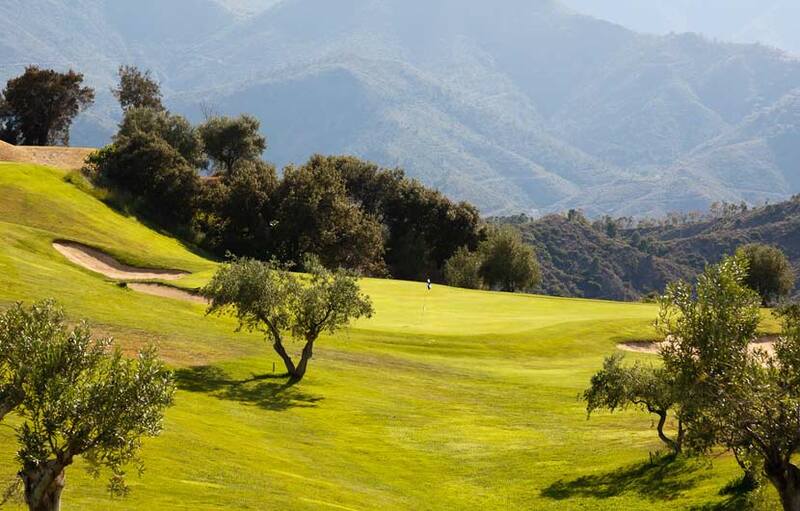 The course is only 20 minutes from the coast and easily accessible via the new Camino de Coin road from Fuengirola. It sits high above the coastal region and just 100 minutes drive from the picturesque white mountain village of Mijas. The course, designed by Severiano Ballesteros and opened in 1993, fits perfectly into its natural surroundings. There are up to six different teeing areas at each hole and thus the course can be adapted to any level of difficulty. 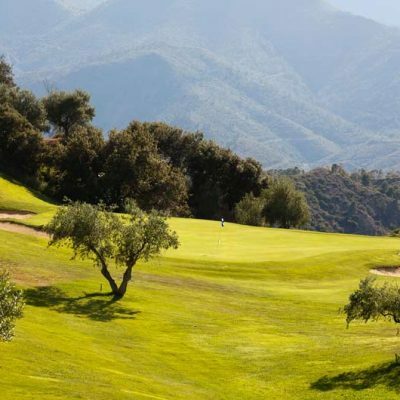 It is a course in which the player must think about which club to use all the way, the course is very hilly and picturesque with fantastic views over the Costa del Sol coastline. Yes it is quite challenging for beginners, however the bark is sometimes worse than the bite and the rewards are undeniable. There are a few blind holes which can be annoying if you don’t know the course. Once played though the layout does grow on you and will draw you back for more. 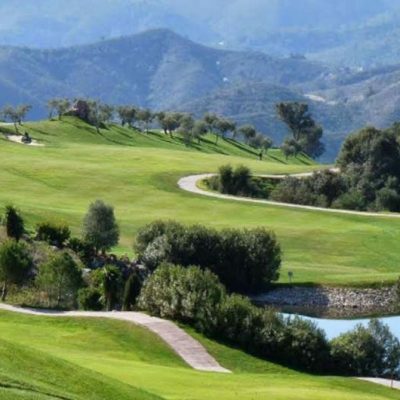 The course design made good use of all the local fauna including pine trees, Spanish oak, cypress, orange, palm and olive trees plus a wide range of aromatic plants such as rosemary and thyme. 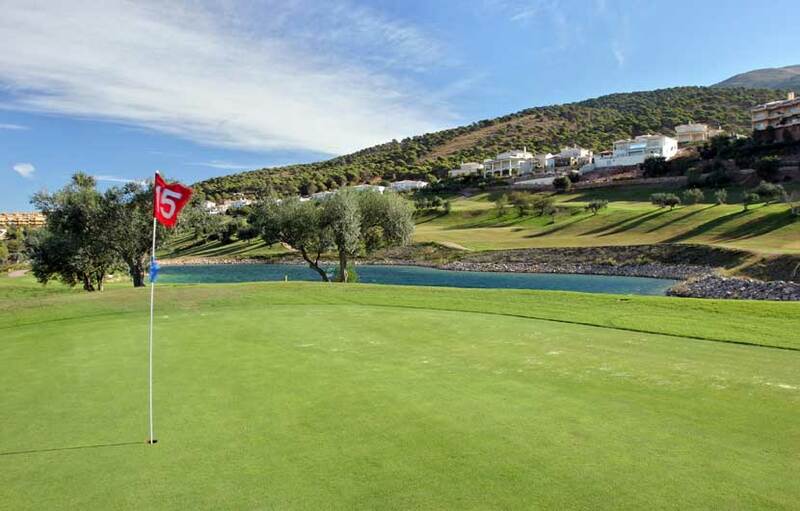 The signature hole is the stunning 6th, a par-5 dogleg right with the most amazing and scary tee position located on the highest point of the course, enjoy the incredible views overlooking the surrounding mountains down to the Mediterranean Sea. The drop in height from the tees is unique and leaves most players with a couple more shots to reach the well protected green. This is one of those holes that once played will always be remembered. 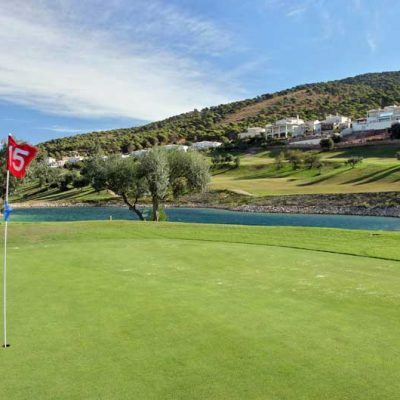 There is a very nice 4 star hotel on site popular for golf holidays in Spain if your thinking of spending a few days playing the Alhaurin golf course and exploring the area. Local towns include the historic Mijas village, Alhaurin de la Torre ,Alhaurin al Grande and Coin.